TUESDAY 10 BALL – 9th APRIL : NOK WINS. 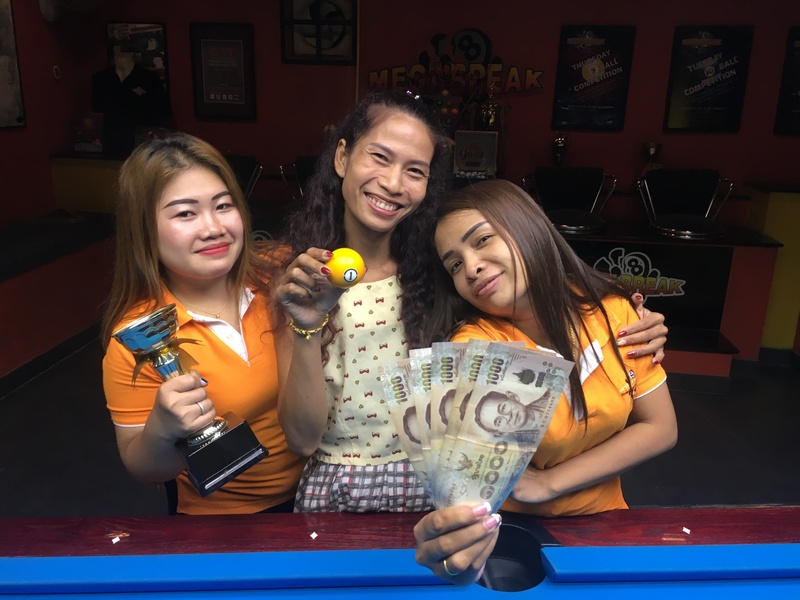 A victory for the girls on Tuesday night as local Thai player Nok Yung became our 10 Ball Champion for this week. 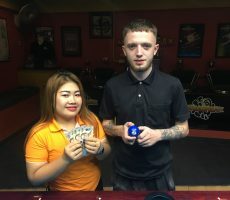 From a total entry of 24 players, she beat England’s Sam Lowe in the final, 4-4 in racks (race 4-7) to claim victory and pocket the 1st Prize of 5000 baht. She lost her very first match of the evening in the group stages, before raising her game to win five consecutive matches and lift the trophy. 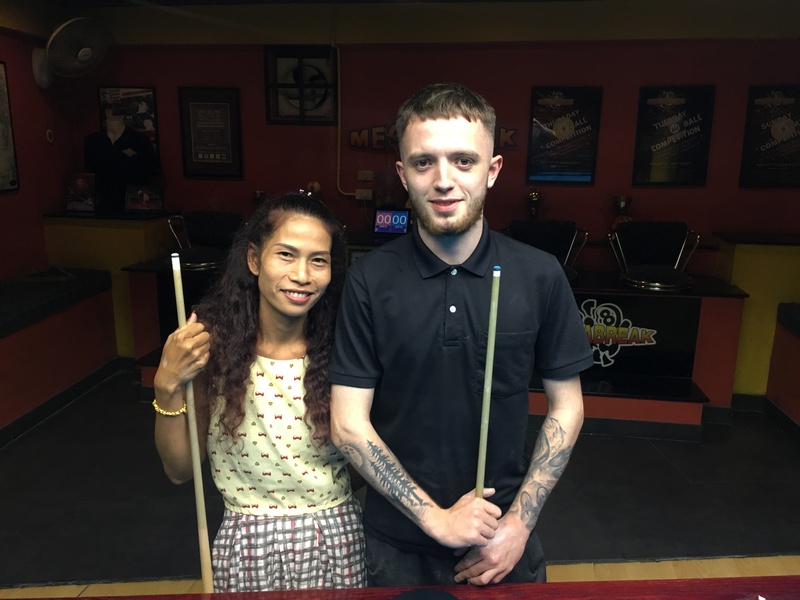 Sam continued his recent run of good form to reach his second final in the space of just four days, and took home 3000 baht in 2nd Place. 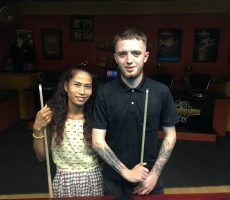 The other money winners on the night were Adrian Rivers from England and Duain Bauer from Australia, who each collected 1250 baht for reaching the semi-finals. 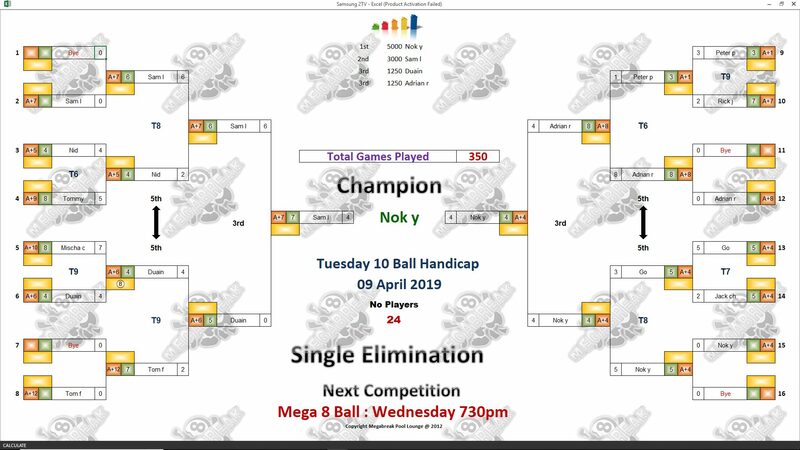 Champion : Nok (A+4) – 5000 baht. Runner-Up : Sam (A+7) – 3000 baht. Semi-finals : Adrian (A+8) and Duain (A+6) – 1250 baht each. The Player Auction Prize Pot totalled 24600 baht and was won by Nok’s friend Gan Kanchana Chinboot. 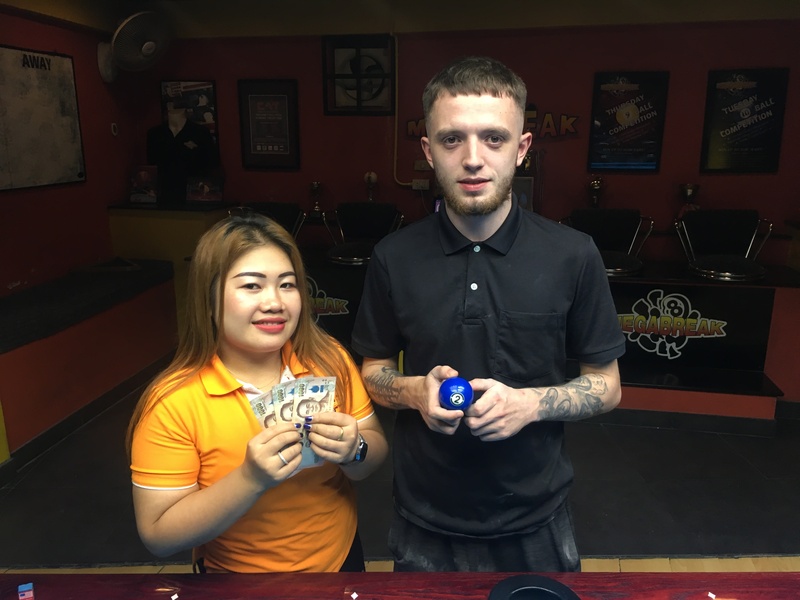 She bought our winner for 1100 baht and they shared the 1st Payout of 9500. 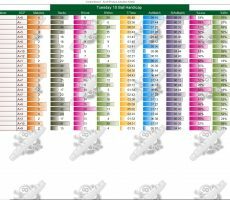 1st : Gan (Nok) – 9500 baht. 2nd : Sam (HImself) – 7000 baht. Equal 3rd : Olly (Adrian) and Fon (Duain) – 3400 baht each.